Would You Prefer 2019 Hyundai Elantra? The 2019 Hyundai Elantra took no time to become one of the all-time best sellers as it never failed to deliver the appreciable handling and return you the value for money. 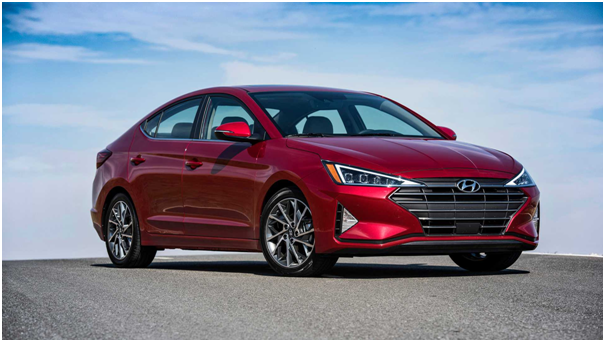 When Hyundai released it for the 2019 edition, the new edgy look helped the 2019 Hyundai Elantra further to stand out in the crowd of compact cars. The 2019 edition of Elantra come both asSedan and Hatchback but can be observed as distinctively different entities. While the Elantra sedans have trims SE, SEL, Value Edition, Limited, Eco, and Sport trims, the GT hatchback comes in base and Sport trims. Here we are covering the 2019 Hyundai Elantra Sedan that we explored at the Gloucester City Hyundai dealer showroom. For 2019, the four-door Elantra is given a new front end that marks its presence with those sharp headlights embedded into the front grille. Above a curvy hood now adds more spice to its overall appeal. The steering gets lighter this time, and this makes the movements easier for the Elantra to ensure every time a softer ride.The overall make and performance made it clear to the users that Hyundai Elantra prioritizes comfort. The refreshment for the 2019 year makes the Elantra Sedans look sharper than before with some minor interior revisions in the safety tech side, enabling features like automatic emergency braking and adaptive cruise control that now come as standard on all the sedan trims but the SE. The 2019 year model of Hyundai Elantra looks bolder, with the last year’s wallflower that is making it a standout among the crowd of other sedans of the segment. in which the trims like Elantra Eco, Limited, and Sport glitter more because of featuring the new standard LED running lights that look more like a mirrored surface, when it is not tuned on. The lights embedded into the grille throw a pleasant light on the chrome finish. The newly curved hood in all the models of Elantra that are rare in most compact cars brings about it a muscularity. On both the sides, the belt line seems to whip up to the rearmost pillar and help create a moving impression. Under the hood, most of the 2019 Elantra models are equipped with a 2.0-liter inline-4 engine that is capable of making 147 of horsepower in the sedan models and 162 hp when you drive the GT. There is also an option of driving with a 1.4-liter turbo-4 engine that delivers more efficiency-oriented performance and is installed in the trim Elantra Eco, while the1.6-liter turbo-4 engine of 201 capacity of horsepowerin the Elantra Sports get a more lovely drive. The lineup of the 2019 Hyundai Elantra is mostly supported with either a 6-speed automatic transmission with front wheel drives or a 6-speed manual transmission as standard. Both the Turbocharged models of 2019 Hyundai Elantra—the Eco and the Sport are however powered with a 7-speed dual-clutch transmission system. To pick the trim of 2019 Elantra sedan that suits your purpose book a test drive with Hyundai dealer Gloucester City today.